HSBC has signed a deal to offer BlackRock's Aladdin investment management software to the bank's wealthy customers, in a boost to the US asset manager's plans to make money from its technology by selling it to rivals. Aladdin Wealth is tool that enables portfolio analysis, taking into account weight and risk management. Aladdin has largely been used in asset management since its creation over 30 years ago, and was recently picked by Santander Asset Management to drive it digital transformation. HSBC advisers will now be able to analyse customer' portfolios more holistically and accurately, and assess the impact changes could potentially to better guide their clients, a statement from the bank has said. We are building a better private bank and Aladdin will help us take our wealth management services to the next level"
Robert Goldstein, chief operating officer at BlackRock, said HSBC's scale would mean many more advisers would have access to capabilities previously only available to institutional investors. The partnership between Europe's largest bank and the world's biggest asset manager comes as both industries are battling to use technology to increase profits and improve service. 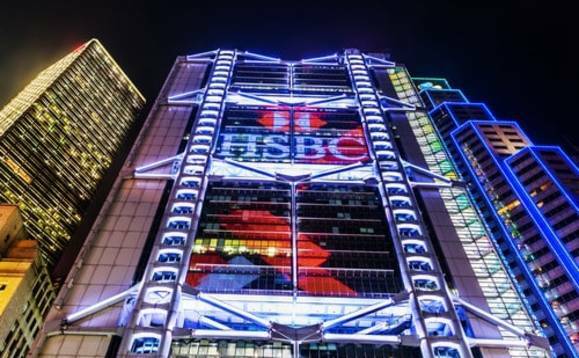 The rollout started in the US and Hong Kong, but over time will be available to HSBC relationship managers worldwide where managing clients holding $1m or more with the bank. According to BlackRock, more than 25,000 investment professionals and 200 institutions around the world rely on Aladdin for risk and return analytics, as well as order management and trading. "We are excited and proud to offer the benefits of Aladdin to our clients thanks to our strong partnership with BlackRock," HSBC CEO of global private banking, António Simões, said. "We are building a better private bank and Aladdin will help us take our wealth management services to the next level." Charlie Nunn, CEO of retail banking and wealth management, added: "This is part of our strategy to meet the increasingly sophisticated needs of growing wealth segments around the world, especially in Asia." HSBC is following the lead of Swiss bank UBS, who adopted BlackRock's risk management and portfolio construction tool Aladdin Risk for Wealth Management in 2017. Some have questioned whether this presents a systemic risk, as the growing number of firms using the software for investment decisions could make portfolios more correlated and hence exposed to market shocks.